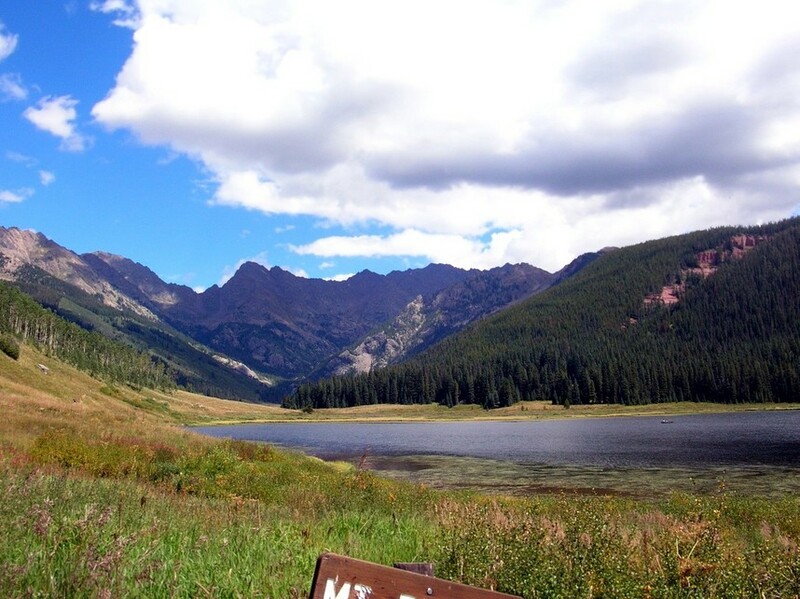 The impetus for this post came about from an e-mail I wrote to Susie Kincade, co-creator of Women’s Empowerment Workshop slated for 9/15-9/18/2011 in Vail, Colorado. Coming on the heals of the last post on being powerful and in your feminine presence, I somehow received the link for this upcoming workshop. My excitement about this amazing workshop lead to a request by e-mail to be involved somehow (and hopefuly attending!) , which then lead to a conversation that Susie and I had today in which I realized that nature has been an incredible ally for me throughout my life. How many workshops, self help books, courses, retreats etc has each of us gone to (or read) in which there is an incredible experience, but that very experience stayed just that? It did not integrate within our being….or as I like to say, it was not embodied to be tapped into purposefully over time. This took me back to a pivotal point in my life when I was really ready to shift from being somewhat of a victim in my life to co-creating a life that would tap into my powerful and unique creative expression. I had no idea how to do that, but my intention was strong to somehow find the pieces that went into that. When intention is strong the vehicle for change appears. 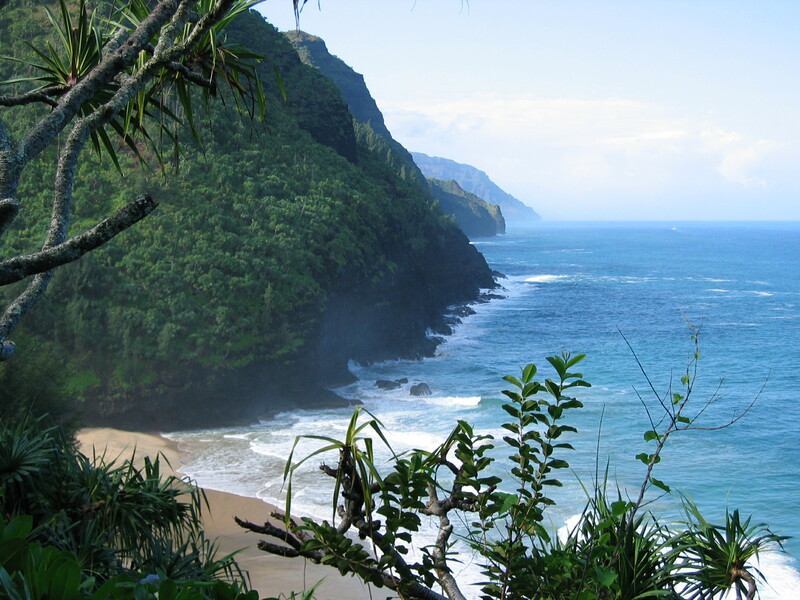 My vehicle came in the form of a professional photographer and wilderness survival expert that invited me to go with him to Kauai, Hawaii to backpack along the Na Pali coast – the very old original Hawaiian trial which leads to an isolated beach at the end of this particular trail. I said yes and then proceeded to prepare by reading every single thing I could get my hands on to learn more about the trail and what I might experience…..but there was no book that could prepare me for what I was to be confronted with. Now you must understand that I wasn’t in the best of shape to go on this adventure (even though I was 30 years younger than I am today! ), and I had never been backpacking before this. But there was something larger than my mind that was guiding me to commit to this trek…and I thankfully listened. 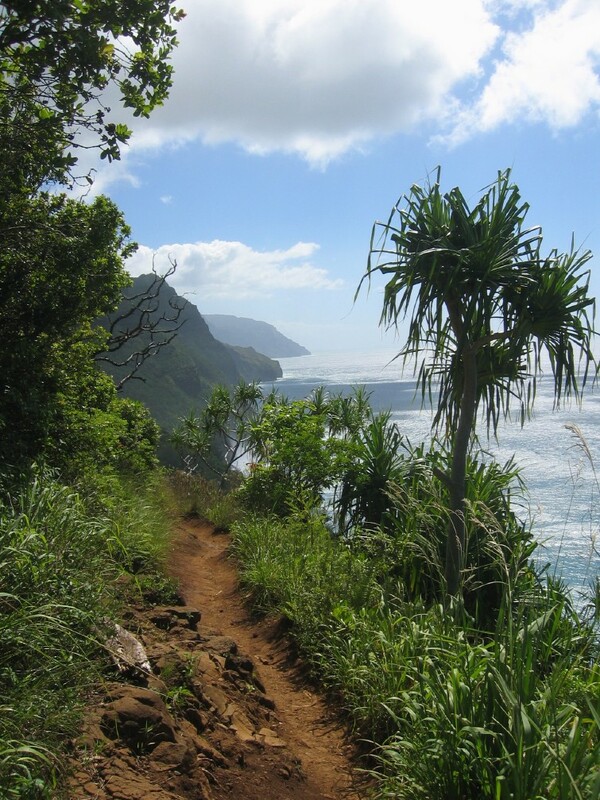 Many things happened on this 11-mile several day journey to and from Kalalau to test me….. and to absolutely entrance me and take my breath away with the beauty, the wildness, and the wisdom of the natural world. There were moments going in when I thought I couldn’t go any further, and staying in back of the 3 other people that I had gone with I almost stopped many times, especially after falling in the first couple of miles and injuring my hand! Yet there was always a nature ally that presented to soothe the pain or calm the fear allowing me to move forward. In this case it was a very cold stream rushing down the mountain that took my hand in an embrace and soothed the swelling and pain until it was completely gone. By the morning of the second day I had worked myself up so much that tears were flowing down my face. I had told everyone the night before that I wasn’t certain that I would be going any further with them. Now why was I here?? In a very pivotal moment I was guided to start ahead of everyone else sensing somehow in between the bursts of fear that I was to do this by myself -and before everyone else. My heart must have been audible to all the wildlife as I came closer to this drop off point, yet in an instant guidance came through that very clearly said to me – take one step at a time, breathe, and be in the moment (and don’t look down). I followed the wise guidance and when everyone else came around the end they found me huddled to a safe rock on the other side crying my eyes out…not just with relief that I made it, but with gratitude and joy that I had the courage to face a very large fear and get to the other side of it! My steps along the trail after that experience were quite different than the day prior. My reward once we got to the beach at the end of the trail? Prawns in the stream, a beautiful beach with a waterfall for a shower, sunsets that were painted by an artist that definitely knew how to experiment with color, every inch of sky holding a star at night, and about 8 other people who ran the gamut from chiropractor to readjust our spines from the trek, Hawaiian mythology story tellers, and astronomy experts to point out the constellations at night….. all going through life transition. My biggest reward? The gift of courage to keep taking one step at a time and be reminded of my deeply interconnected vital life force – a metaphor for my entire life….provided free of charge mind you from natural elements that co-conspired to hold me captive until I got it! I also felt so deeply aligned within my body once completing that 22 mile journey that I was never quite the same again. I had come home! This experience still is embodied within me even though it was over 30 years ago now. I fully believe that it has assisted me immensely in my current leap from Oregon to Austin, Texas and into a life that holds the gift of deep trust and acting from my fullest creative expression. This cannot be “learned” through a book or course! I tell you this story because I would like to see every woman go to a Women’s Empowerment Workshop (or something similar) at least once in her life to embody the “way home” to the next steps she is being asked to take. Below you will find links and information. I will see you there! 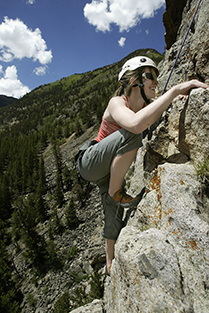 Vail, CO – Rock climbing, rafting, hiking, photography and working with horses may sound like summer camp activities, but Women’s Empowerment Workshop in Vail, September 15-18, uses these activities to guide women to new depths of self-awareness and personal power. It’s all part of a unique four-day retreat that includes life coaching, yoga and meditation, six webinars, five women authors and two internationally-known women activists. 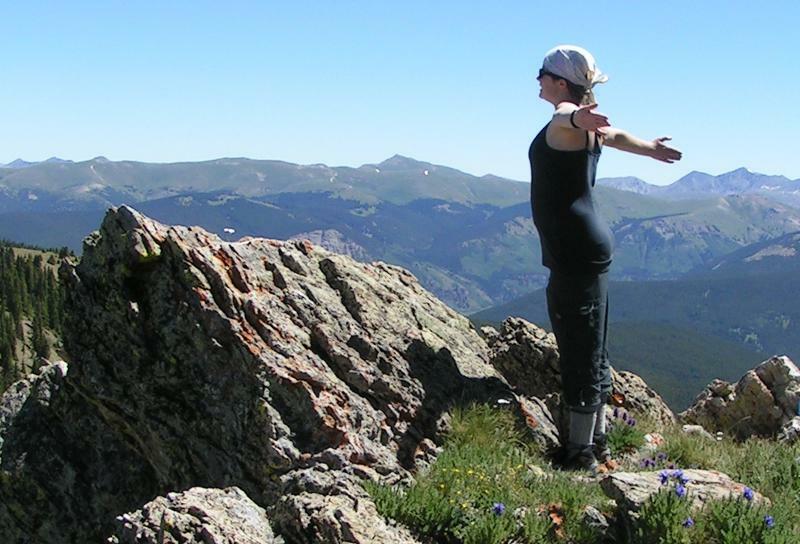 Women’s Empowerment Workshop delivers this empowering experience with a cadre of world-class outdoor guides from Colorado, along with wilderness therapists, authors and teachers of women’s inner wisdom, including life coach Dr. Joan King and nationally-known equine Gestalt specialist Melisa Pearce. And to top it all off, the workshop presents two inspiring, global visionary speakers. Keynote speaker, Lynne Twist, author of Soul of Money, founder of Pachamama Alliance and Four Years Go, will help women ignite their inner fire and bring their highest self to the world. Shannon Galpin, founder of Mountain2Mountain, will inspire women with her story as a single mother who overcame her own challenges to create opportunities for girls and women in war-torn parts of the world. The outdoor explorations will meet each woman where she is in her life, and then nudge her to look deeper and push her edges. For instance, women will learn river skills and how to apply them to life, such as when and how to “eddy out,” and how to scout rapids and navigate turbulent waters. Rock climbing will teach skills for overcoming obstacles in life, how to problem solve, teamwork and communication. Healing through horses helps participants discover how to trust their authentic emotions, and nature photography will teach perspective, patience and how to listen to oneself. “These activities have plenty to teach, both metaphorically and practically, but a person can’t really get the full benefit of it without getting out there and embodying the experience,” Kincade said. To register or learn more, visit www.womenempower.us, or call toll-free, 877-595-8622. SPECIAL OFFER! : Bring 3 And Attend FREE! 4 friends can share a 2 bdr/2 bath condo for 47.50/night/person! Nice rates. This also means that you have 3 other women to share with and to support each other once you return home. It keeps the process moving that was embodied in the workshop! How are we deeply connected to nature and what does this reveal to us as we explore the outdoors? August 11th, 7-8:30p.m. authentic self. Learn tools that help you integrate the peace and freedom of the outdoors into your daily life to feel rejuvenated and grounded. Understand the actual physical processes that occur within the body when nature does its healing and revealing work within you. Discover horses as healing agents who reflect our emotions in a most authentic way.